At Cabe's Concrete, we take care to provide our customers with high quality services personalized for their unique needs. We are available 7 days a week and work in the Tri-State areas. Our staff members are professional, courteous and efficient. W​e offer all types of concrete repair from patch work to concrete removal. 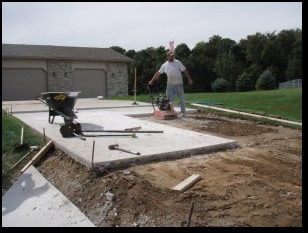 If your concrete areas are in bad shape or sinking give us a call for our professional opinion. We specialize in decorative concrete such as, stamped, overlays, colored concrete, acid stains and epoxying floors. 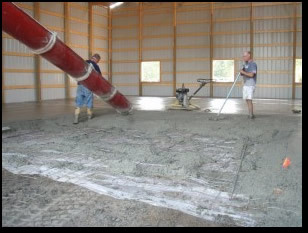 We do small to large floors, trench cutting, pour back, and concrete replacement. Remodels, new construction, Exterior flat work, roll back or chair back curbs, floor staining, epoxing and overlays. From bathroom remodeling to room additions, we can add style and make your dreams come true.